The interest rate on your loan is a percentage of the loan amount that you pay the lender as the cost for borrowing money. A mortgage can have a fixed or adjustable interest rate. The cost of borrowing money from a lender is represented as a percentage of the principal loan amount, called the interest rate. The monthly payments for your mortgage are calculated using the interest rate terms in your contract. The interest rate is yearly, and varies according to the type of mortgage. It is important not to confuse the interest rate on your loan with the APR (Annual Percentage Rate). Both are shown as percentages in the mortgage terms, but you’ll notice that the APR shows a higher number than the interest rate. This is because the APR is a percentage of the cost of your entire mortgage; it includes the interest you’re paying on the loan, as well as other fees, such as discount points, closing costs, etc. Your mortgage type determines the type of interest rate you get. If it’s a fixed rate mortgage, the rate will be the same throughout the life of the loan. On the other hand, an adjustable rate mortgage has a “floating” interest rate that goes up or down, depending on a certain adjustment index reflecting the market values. The interest rate is set by the lender and determined according to your credit history, size of down payment, and the housing market values. 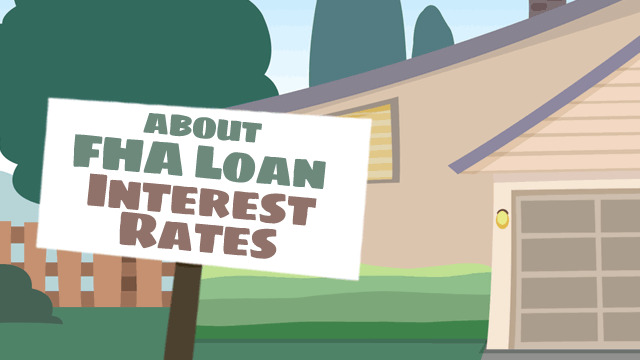 When it comes to government-backed loans, the FHA regulates interest rates by placing limits and caps to protect borrowers, but ultimately, the lender sets the rate.